Ginny Olson has over thirty years’ experience working with children, adolescents and families within different therapeutic and community settings. She has been practicing therapy for over 10 years. She is certified in EMDR, Trained in Emotionally Focused Therapy, Somatic Therapy, Ego State Therapy, Play therapy, CBT, TF-CBT, DBT, and PREPARE/ENRICH. 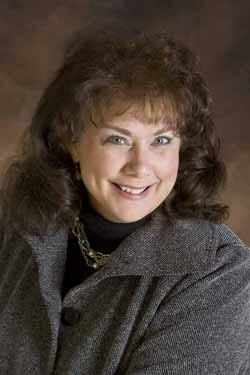 Ginny has worked with children, adolescents, teens, families, couples, and groups on a wide variety of issues. Some of Ginny’s special interest areas include: all types of trauma and abuse, PTSD, Dissociative Disorder, Depression, Anxiety, OCD, Panic Disorder, Autistic Spectrum Disorder, Borderline Personality Disorder, Developmentally Disabled, Grief and Loss, Life Transitions, Parent Coaching, and pre-marital and marital counseling. The best practice for healing and change occur when the therapeutic relationship is safe within a safe environment. Ginny believes every one is unique with their own set of strengths and ability for change and healing. Ginny sees her role as a facilitator to help create the change and/or healing the client is seeking.